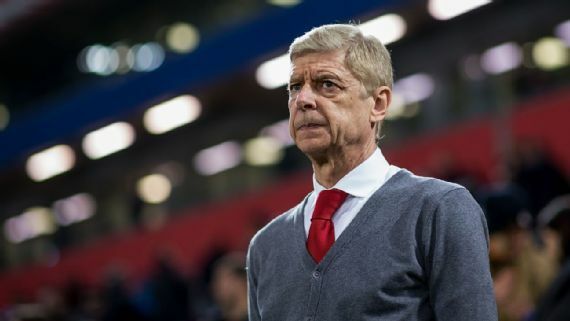 Former Arsenal manager, Arsene Wenger has distanced himself from rumors linking him with a possible move to Real Madrid, stressing that he will not make a managerial return until next year. Wenger has been out of managerial job since leaving Arsenal at the end of last season, though had hinted that he is looking to make a return in the near future. The Frenchman is one of the names in the front-line to succeed Julen Lopetegui at the Bernabeu after the Spaniard was axed earlier this week, but he has now played down the rumours. â€œLook, I am not the Real Madrid manager, I am here today to support David Dein,â€ Wenger told talkSPORT at the launch of the Twinning Project initiative. â€œOverall I donâ€™t know what I will do next year, but I will be back in football and back in sport. â€œI have huge experience and a huge desire to share what I know about the game and what is important in the game with people who need it. Wenger is unlikely to return to England in his next job, with the Frenchman saying it would be strange to manage another Premier League side given his ties with Arsenal. â€œI said many times maybe the best way is not to be in England because I spent so much time at the same club it would seem odd to go somewhere else. â€œBut at the moment I cannot tell you [about my future] because I donâ€™t know. I donâ€™t know where I will be. I will be somewhere but I donâ€™t know where,â€ he told Sky Sports.